This is more aggressive than the other damsels. The sergeant-major can live to an age of 5 years or more in captivity. 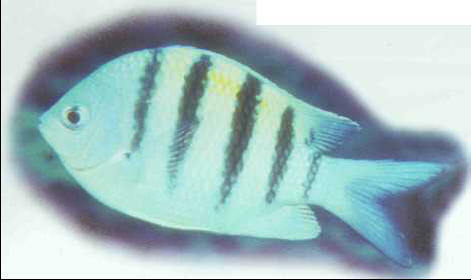 It eats mainly brine shrimps, mussels, and chopped shrimps. Size: 15-17 cm.